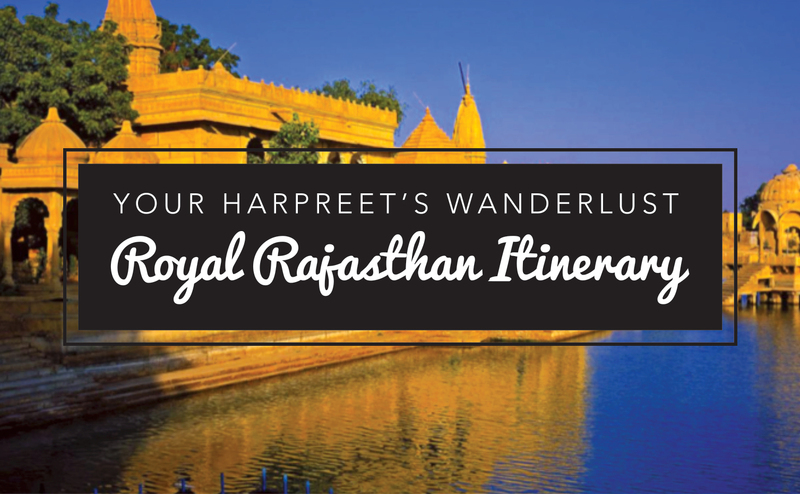 Thank you for asking Harpreet’s Wanderlust to provide you with a skeleton itinerary for your proposed trip to South Africa this December. 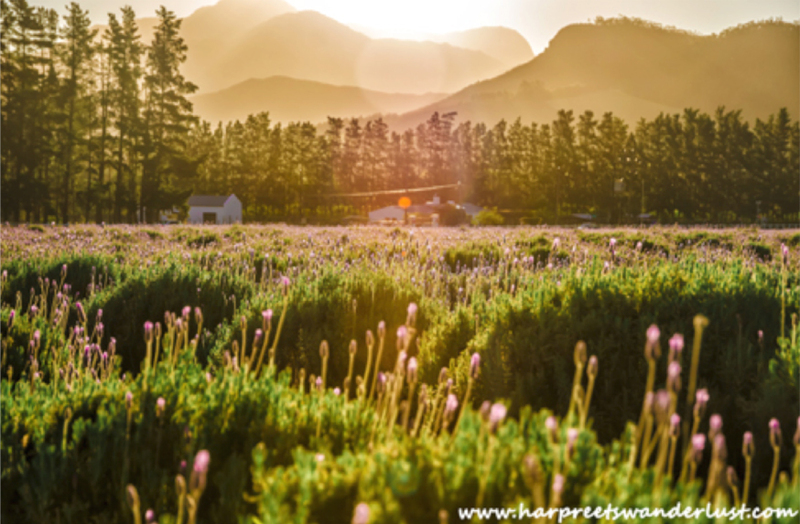 This is to give you an idea of what you can do in South Africa based on your interests, however I will be happy to include other things that may be of interest once you have decided on whether this itinerary works for you or not. In the meantime, I have included the links to blogposts on my travel blog for some inspiration. Day 1 Itinerary: Half day Johannesburg City Tour – including the Johannesburg Inner City, Newton Precinct, Museum Africa and views from the Top of Africa. Day 2 Itinerary: Half day Soweto Tour – Baragwanth Hospital, Hector Pieterson Memorial, Mandela House Museum. Shopping and rest of day at leisure at the Sandton Mall. Check out of the Michelangelo Hotel this morning, and transfer to O R Tambo International airport for your flight to Cape Town. Day 1 Itinerary: Exploring the V&A Waterfront, spending time here shopping, eating and soaking in the waterfront vibe. 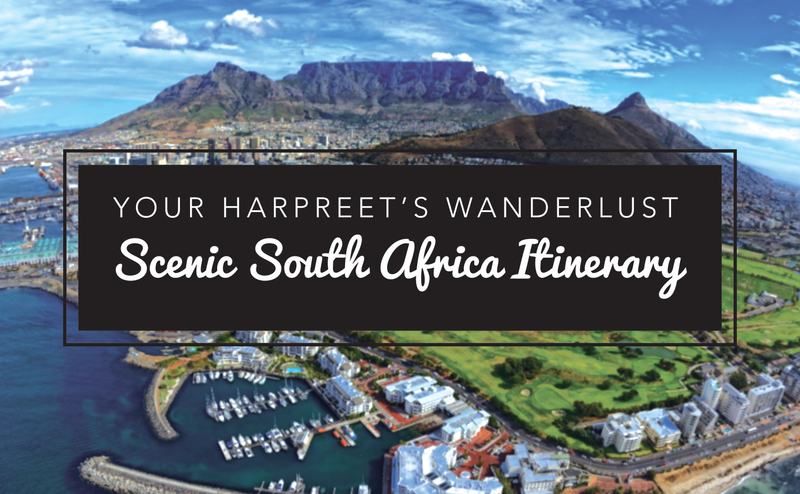 To see what Harpreet’s Wanderlust did, please click on the link: www.harpreetswanderlust.com/footstepsincapetown. 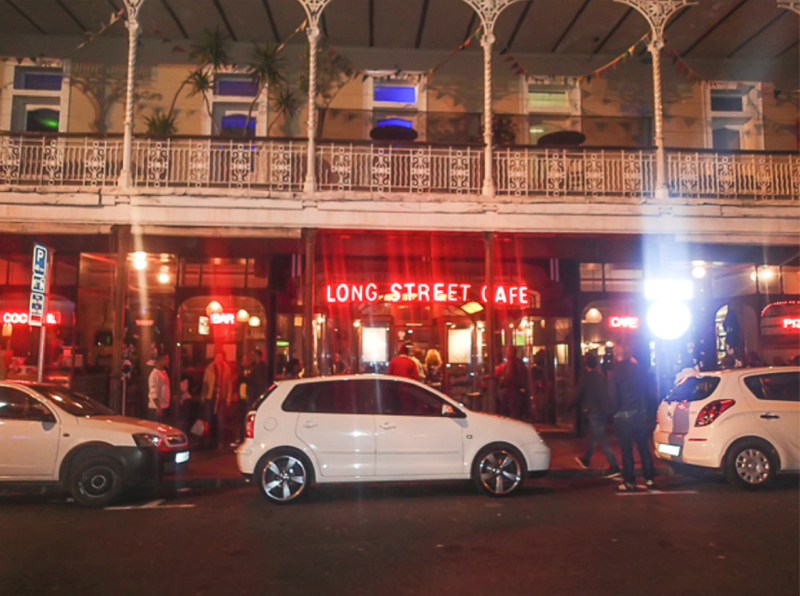 Harpreet recommends the atmosphere on Long Street in the evenings, and in particular, the food and ambience of Mama Africa. 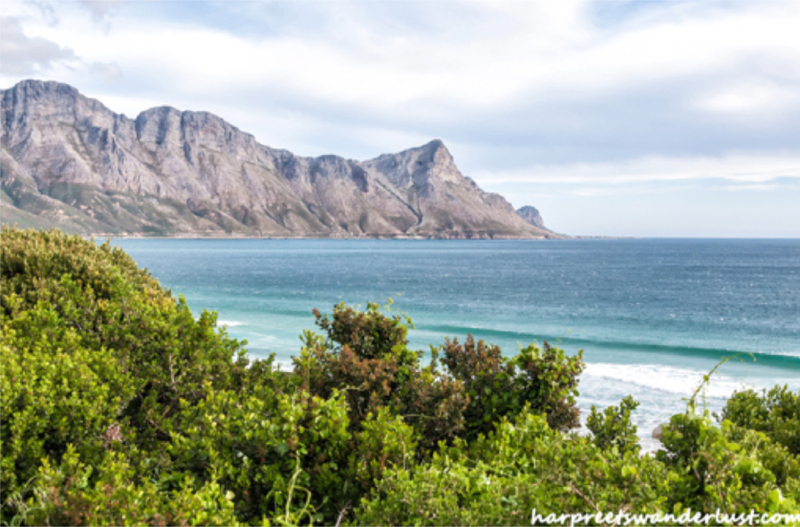 Day 4 Itinerary: Today, take a half day tour along the peninsula of Southern Africa, indulging in the scenic views along Chapman’s Peak Drive, all the way to Vasco da Gama’s Cape of Good Hope, and then up to the southernmost point in Africa – Cape Point. 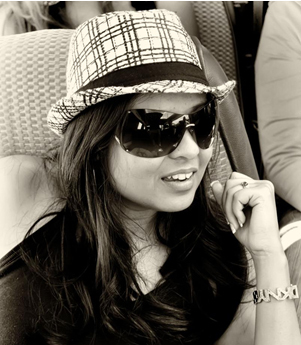 To see what Harpreet’s Wanderlust did, please click on the link below: www.harpreetswanderlust.com/footstepsincapetown. In the afternoon, take a walk around the Company’s Gardens opposite the hotel for great views of Table Mountain. Day 5 Itinerary: Shop till you drop at Canal Walk today! 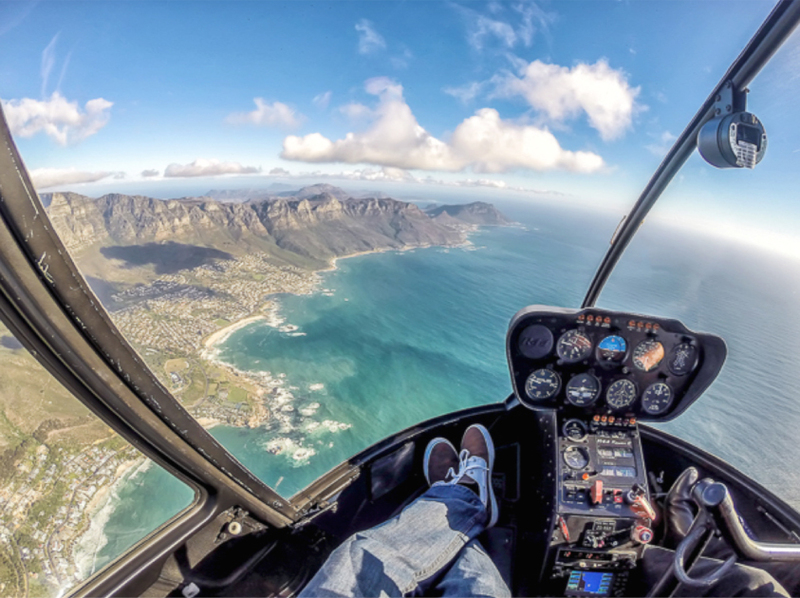 Enjoy a couple of hours shopping, before embarking on your Two Oceans Helicopter Ride from the V&A Waterfront. To see Harpreet’s Wanderlust’s Two Oceans Flight Experience www.harpreetswanderlust.com/footstepsincapetown. Recommended dinner at Baia Seafood for amazing seafood, or Haiku for dim sum, sushi and Chinese food. 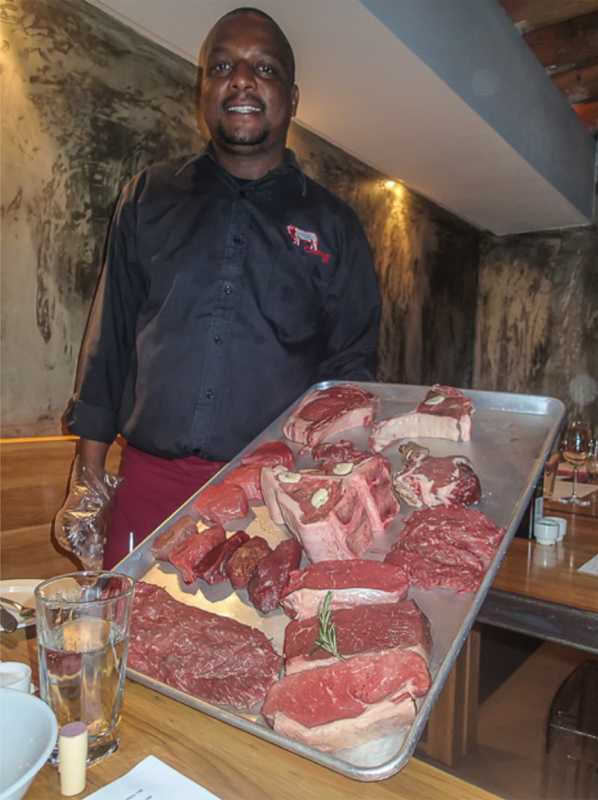 Day 6 Itinerary: Hop onto the Red Cape Town City Tour Bus around Cape Town. There are three routes to choose from – yellow, blue or purple. 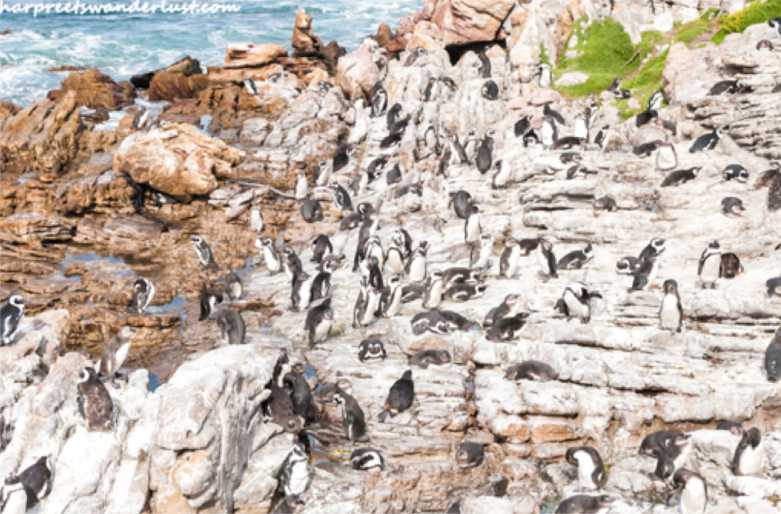 The Blue Peninsula Tour is recommended for its stops at Kirstenbosch Gardens, Mariners Wharf and Camps Bay. You can get out at any of these stops and spend a good couple of hours exploring, eating and drinking. In the evening, get the best of two worlds by taking the sunset cable car ride up to Table Mountain, and watch the sun set in the Atlantic Ocean while watching the twinkling lights of Cape Town come on. 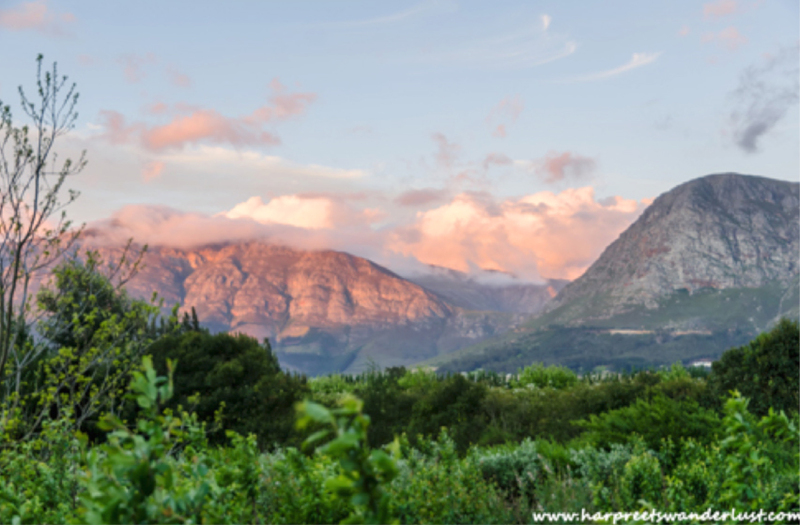 Flight Details: Transfer from Cape Town to the charming town of Franschhoek in South Africa’s Cape Winelands. Day 7 Itinerary: Spend the morning hanging out in the quaint Stars Hollowesque Town, enjoying the atmosphere, Recommended lunch at Reubens. 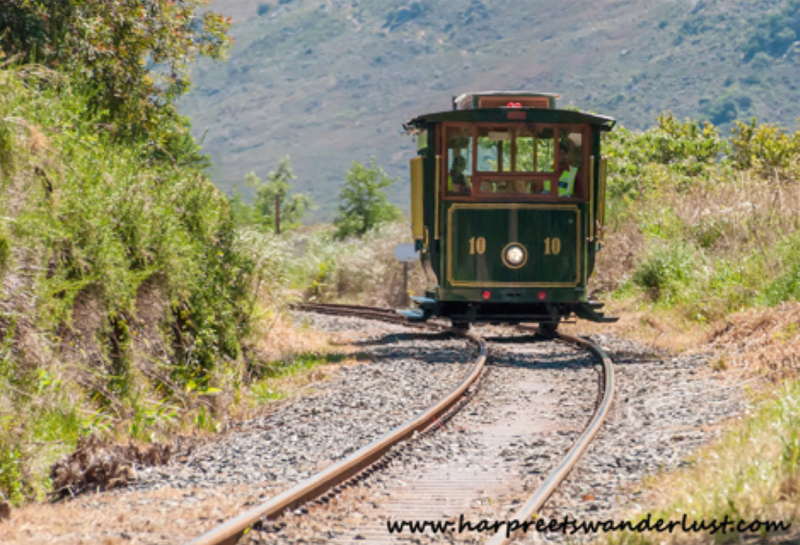 Hop onto the Franschhoek Wine Tram in the afternoon – red route for some wine sampling. Recommended dinner at Holden Manz Wine Estate, Chefs Tasting Menu. Day 8 Itinerary: Spend the day exploring the winelands on the wine tram’s Blue route. Recommended La Brie for Chocolate and Wine Tasting, Dieu Donne for the views and Leopards Leap for lunch. 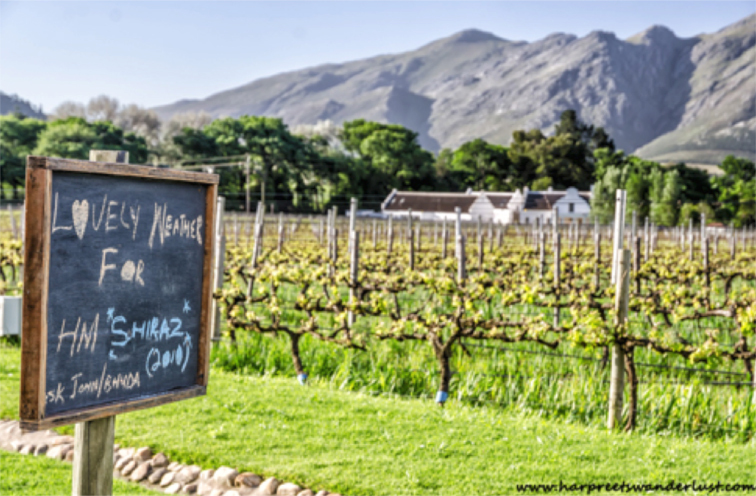 Day 9 Itinerary: Spend the day exploring some of the wineries on the Stellenbosch wine route. Some recommendations include Monterosso, Eikhof (for fruit and wine pairing) and the ever popular Simonsig Winery. Day 10 Itinerary: This morning, check out of the Holden Manz Wine Estate after a leisurely breakfast, and transfer to your hotel in Camps Bay, where you will be ringing in the New Year on the beach, after a nice gala dinner at the hotel. Day 11 Itinerary: Day at leisure to rest and recuperate and enjoy the facilities that the hotel has to offer. Recommended activity: the Long Street New Year Parade, an annual event hosted to ring in the new year with good tidings! Day 12 Itinerary: Day at leisure to rest and recuperate and enjoy the Camps Bay area. 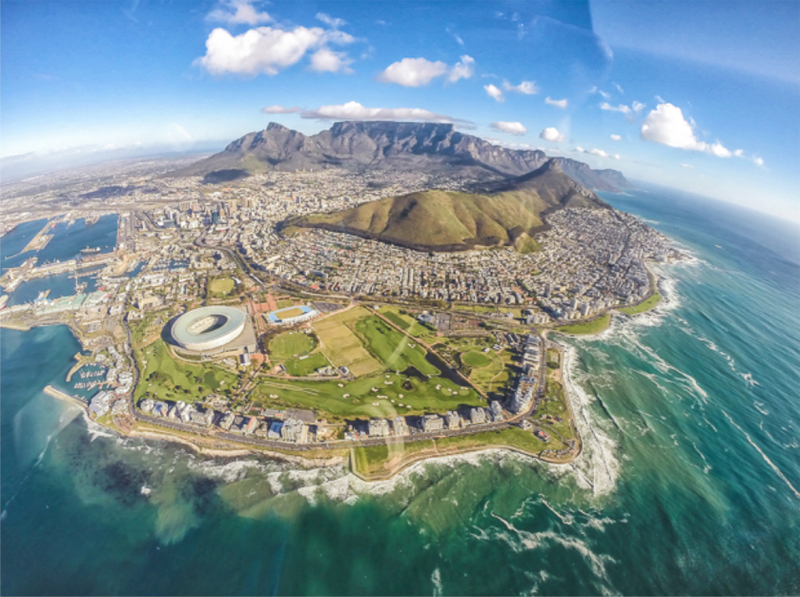 Day 13 Itinerary: Transfer from Camps Bay to Cape Town International Airport for your flight back home.